It’s interesting how many good zombie related movies, books and television shows are around now. Usually, a good zombie story has more than just headshots and gore, although those can be enjoyable too. The fairly recent influx of strongly written, moral explorations through the backdrop of the walking dead is some of my favourite television to watch. The BBC’s In The Flesh is no exception. It takes on the age-old zombie story with a fresh perspective; looking at the reform of the un-dead and their lives after they have risen. 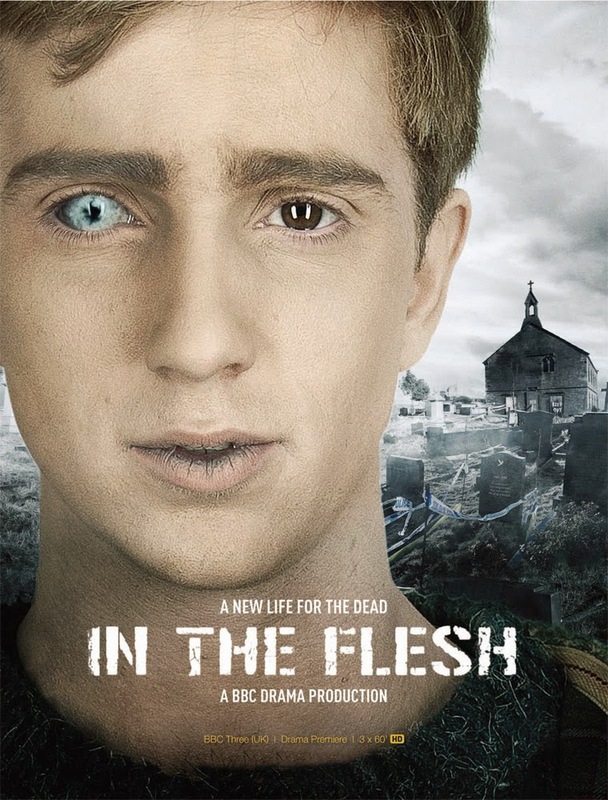 In the Flesh follows the story of Kieren Walker, a recently risen zombie who has been medicated and is in recovery from so-called Partially Deceased Syndrome. In the Flesh is at times a heart rending and emotionally charged exploration of life, relationships and the human experience, rather than about the zombie horde itself. It focuses more on the characters whose lives are affected by the complete change of the world over and above the terror of brain eating monsters; because sometimes the real monsters live inside our homes and inside us. Follow me under the jump for more. Kieren is recovering, remembering. He has flashbacks about what he had done as a rabid sufferer of what is now being called Partially Deceased Syndrome (PDS). He remembers killing a girl called Lisa before being taken in and given drugs to calm him and rebuild his neural pathways. His family come and pick him up; they are determined to pretend that nothing is different or wrong. His sister has become a gun-touting member of the Human Volunteer Fighters (HVF); people who killed zombies during the rising to protect the humans. According to this story, only those people who were already dead rose and became zombies. You cannot be infected and turned from a bite. Those who have died after the rising cannot become zombies. Kieren knows a lot more about the logistics of the rising and the physiology of those who have PDS than those humans who have survived. Upon returning, he discovers that his hometown has become a deeply religious and PSD hating community. Through the series we discover that Kieren had killed himself prior to the rising and had not said goodbye to anyone. He had suicided after he found out that his best friend Rick had died in Afghanistan. This makes the family dynamic in his home even more complicated. The HVF is strongly opposed to any reformed PDS sufferers living in their community and actively seek them out and kill them. Kieren’s relationship with his sister suffers as a result, but the reasons are far more complicated than they originally appear. Things take a particularly bad turn when Rick returns home, a PDS sufferer himself, although none can acknowledge this, as his father is the head of the HVF. In the Flesh looks at some pretty heavy concepts as a result of this set up. The most obvious immediately is discrimination and the idea of the ‘other’. In this case, the PSD sufferers, in their rabid state, instilled fear into people and killed them in order to survive. Whether this was right or wrong isn’t the main focus of the story, the theme in question is what humans fear and react to when they do not understand a condition and the myths that they create around that disease or those people. Kieren and others like him are not accepted by society. Many people do not believe that this is a condition and that sufferers can recover; they believe the person is wilfully hurting others and is inherently evil. We see this in treatment of other cultures and in treatment of people with mental illness in our own communities. Kieren’s suicide is also explored; the affects on relationships and people after a traumatic event lead to Kieren taking his own life but also to the subsequent deterioration of his family. His sister acted out, his father shut down and his mother struggled to hold the family together. Kieren’s desperation was evident and the fact that those contemplating suicide have very real feelings of despair is not ignored. There is a beautiful conversation between Kieren and his mother late in the series exploring how it felt to discover Kieren’s body and mourn for him. There were real feelings of anger mingled with sadness and love that she explained were part of the grieving process. It was unexpected but deeply relevant and moving. Rick’s father’s complete disassociation with reality also speaks to the possibility of mental trauma and grief, although it is implied that he was a difficult man well before the death of his son in the first place. He never liked Keiren and it’s implied that he believed something more was going on between his son and Keiren, which is why he took every opportunity to belittle Kieren and try to force him out of Rick’s life. He does not acknowledge or perceive that his son is a PDS sufferer and copes by ignoring Rick’s condition when talking about others with the same thing. 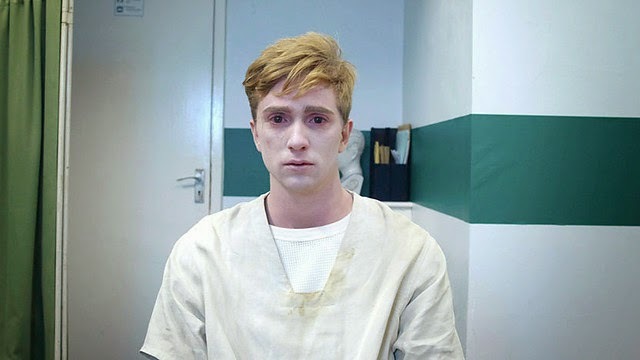 He believes that Rick has to kill Keiren because Keiren is a monster – FINALE SPOILERS – In order to combat this attitude, Rick removes his contact lenses and cover up make-up to plea to his father for Kieren’s life and to accept him for who he now is. Fuelled by something the community Pastor said about a second rising where the true blessed would walk again, his father kills Rick as an imposer and deposits his body at Kieren’s house. He believes that no real son of his would protect Kieren, even though his son did that very thing well before the rising. The delusion and the disconnect are not overcome until his wife lashes out at him for destroying their one and only second chance with their son. – END FINALE SPOILERS. Religion also plays a large role in the world shaken by the unknown. The local community in Kieren’s hometown turn to both God and a Pastor who views those who have risen as inherently evil and encourages their annihilation. He breeds righteous killers and an unwillingness to understand and accept difference in the community. Many characters struggle with their desire to believe in something and give control over to a higher power, or validate their actions, and the return of their loved ones as PDS sufferers. Those with PDS themselves begin a religion of sorts, a community where they believe that they can go back to their core nature and figure out why they came back and who they are now. This isn’t comprehensively explored in this first season but I imagine it would be a focus of any further seasons. All up, In the Flesh is a great take on the complications of living with a reformed person – whether they have come back after suffering an illness, a trauma, an injury, disorder or addiction. It focuses on human relationships in a time of severe change and disorientation. It also focuses on re-building lives, livelihoods and homes. It’s much more than just a show about zombies and I look forward to the next season!